As William R. Burke savored a post-luncheon stogie at the California Club after his purchase of a barley field out in the western reaches of Los Angeles in 1903, he no doubt began to tell a select few friends—friends whose bank deposits he was sure of and whose company he enjoyed—about his plans for Berkeley Square. While the site at the center of a mesa afforded an elevation suitable to men of their status, it also no doubt appeared to be a good investment. Los Angeles was growing rapidly toward the Pacific, and given a bit of time, the Square would be at the very center of the city, geographically as well as socially. 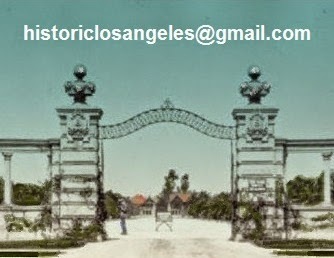 While within ten years West Adams, the established residential center of fashion, would begin to face competition with luxurious new developments to the north and west, the push in those directions among the fashionable Los Angeles Old Guard, as much as there was one in 1903, was still within the district. Burke intended Berkeley Square to be the gated center of the newer West Adams and he wanted big houses and attractive residents he could be comfortable with. It was all about connections. California dwellings of the period. It was also not unusual for social connections to thread through the life of an individual house on the Square. Social notes in the Los Angeles Herald of July 1, 1906, describe a party given by a fraternity of Los Angeles High School boys, a Paul Nourse among them, that was chaperoned by a Mrs. Chester A. Montgomery, whose nephew Richard was also a Gamma Eta Kappa. (In 1934 Richard Montgomery's daughter would marry the brother of Mrs. Constant Bilicke, later of #7—yes, yes, the incestuous history of Berkeley Square can be exhausting.) At the end of 1907, Mrs. Montgomery would be living in her new Berkeley Square house on Lot 7 (later #9). Not much more than a couple of decades later, the house would have a new resident—the now fortyish Paul Nourse. It was all very cozy, part of what makes the story of a gated street seem to be a little more of a hothouse than the ungated variety. Chester Arthur Montgomery didn't just arrive on the Square in 1907 fresh off the train from back east. He was part of a family firm that around the same time would open its latest and most splendiferous downtown emporium—one whose interior was designed by Alfred F. Rosenheim, who happened to have done the gates of the Square a few years earlier. Montgomery Brothers was the Tiffany's of Los Angeles, founded by Chester's uncle James in 1881—the "Brothers" added after Chester's father George joined James in 1888. Chester and one of his brothers, Munro, joined Montgomery Brothers early in the new century, and it seems that jewels must have been flying off the shelves—Chester was a younger man than most Berkeley Square builders, just 25 when he let out bids for #9, one of the earliest of Square houses. as a "handsome, although rather retiring little home." Chester did everything young. He was 21 when he married Leona P. Smith at the end of 1903. While Chester had been born back in the "old country" (Canada), Leona, also 21, had originally come from Iowa. As we shall see, 21 might have been too young to marry even in 1903. But all was looking rosy when Chester and Leona commissioned the highly esteemed Myron Hunt and Elmer Grey to design a house for them on Lot 7 in early 1907. 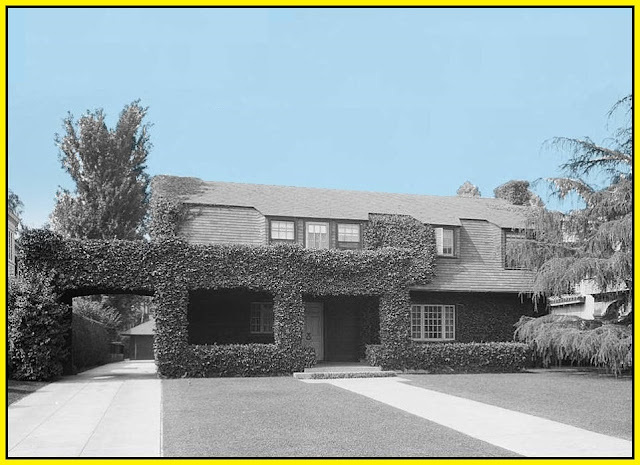 Their son Robert Douglass Montgomery, destined for Hollywood, was born on October 29 as the house was nearing completion, and the three Montgomerys were at home in the Square by the beginning of 1908. They had a rather rude awakening to the realities of living behind gates, however, when on the evening of April 26, 1908, according to the Herald, thieves climbed a ladder to the second floor of the house while Chester and Leona entertained friends downstairs. "The burglars took only such jewelry as could be easily secreted about their persons, as a large quantity of silverware was not molested." While we're calling #9 the Chester Arthur Montgomery House, it would perhaps more accurately be called the Leona Smith Montgomery House. Apparently Leona had been clever enough—or her husband then loving enough—to place the title to the house in her name. This would come in handy about ten years later when any happy times in the Montgomery marriage would come to a close. After the 1908 mid-soirée jewel theft, life chez Montgomery was punctuated by other ritual entertainments—teas, luncheons, and the like, including a rather curious October 1908 gathering of ladies, per the Los Angeles Times: "Mrs. Chester A. Montgomery of 7 Berkeley Square entertained a few friends informally yesterday with skat. Later tea was served." Montgomery dinner parties were no doubt attended by a younger, more flirtatious set than frequented some neighboring houses inhabited by more mature Squareites. One might imagine, if one were of wicked mind, that Chester—or Leona—might have a little too obviously played footsie at dinner one night, and not with each other, setting off a post-prandial war with bric-a-brac as ammunition after the last guest had departed. Or one might imagine that nothing could please a spoiled Leona, not glittering samples from the Montgomery Brothers vaults or even the Detroit Electric Victoria Chester gave her in 1909.
its works were recently sold on Ebay. Los Angeles was awash in oil in the first decades of the 20th century. Edward L. Doheny was the most famous of local oilmen—he and his wife Estelle spent their new millions lavishly if in questionable taste beginning after the turn of the century, on, among other things, nearly every house in the other grandly gated West Adams street, Chester Place. Perhaps in reaction to the Doheny's greedy claims on that piece of real estate (which, unlike our subject Square, survives to this day), other oilmen may have considered life in Chester Place, while physically worthy of emulation, undesirable not only because of the Doheny's obnoxious pretensions and scandals but also because of its increasingly less-exclusive, too-far-downtown location. By the time Fred R. Kellogg arrived in Berkeley Square, he had been in the oil business for 16 years. A native of Iowa, he'd been trained as a lawyer, had been a successful farmer, and had married Leota Smith in their home state in 1895. Given the closeness of the Smith sisters, no doubt Fred had little choice but to take Leona along when saying "I do." The three of them arrived in Los Angeles in 1902. Fred incorporated his eponymous oil company in 1906; through various mergers, by 1911 it became the Richfield Oil Company, with Kellogg as president. Among his other endeavors was presidency of Willis G. Hunt's Buttonlath Manufacturing Company—thus the skein of interhouse Berkeley Square attachments grows and grows (see #'s 3 and 5). 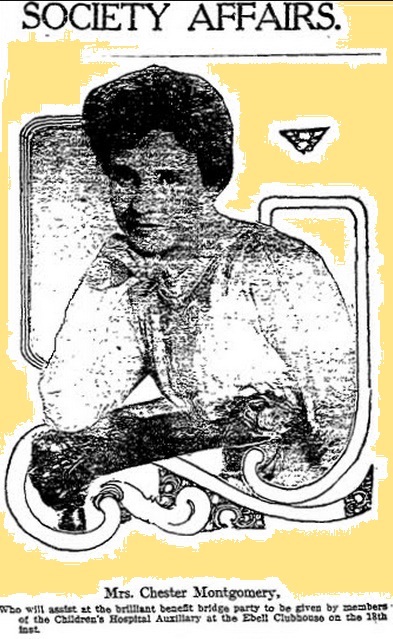 The Kelloggs had three children and lived on South Figueroa (temporarily without Leona, who had married Chester in 1903) before settling in Lamanda Park sometime before 1914. As we've seen, Leona shed Chester circa 1917, and the cozy Kellogg/Smith Sisters arrangement resumed in 1918 on the Square. Life for yet another of the Square's extended families continued with only the usual entertainments until 1925; that summer, after the family left to live year-round in Lamanda Park, #9 appears to have been sold to Lillian C. Martin, who put on a new roof and did minor plumbing and electrical work. When Martin put the house back on the market a year later, it caught the eye of fraternity boy Paul Nourse. Of course the sale was helped in that there was Nourse precedence on the Square—Paul's parents, the Charles O. Nourses, had been among the earliest of Square residents, having built #16 in 1906. Angelenos learned to let California sunshine inside. Adding to the Iowa pedigree of #9—he was born in Des Moines before his parents came west—Paul Nourse would also add to the Square in later years as a respected jurist. After being graduated from L.A. High in 1908, Paul went on to U.S.C.—a West Adams man to the core—earning both his undergraduate and law degrees there. On his discharge from the Navy following the First World War, his parents gave Lieutenant Nourse and his wife Margaret a party across the Square at #16. Afterward the couple moved in with her mother at 1675 West 25th Street (a house still standing), only a few blocks from his parents. The Paul Nourses became the second generation of the family to live in the Square when they moved to #9 in 1928. Paul and Margaret—and her mother, Mrs. Ericson, who came to the Square with them—kept a low profile on the Square for two decades, certainly in comparison to the Llewellyn-Milners next door—someone had to maintain the Square's dignity. Paul practiced law and apparently did little more exciting than serving as president of the Los Angeles Bar Association for one month; Margaret attended to her club and charitable activities. There were the occasional parties before U.S.C. games at the Coliseum. Their daughter Susanne was married to Wiley Blair III of Colorado Springs at St. John's—the establishment Episcopal church of Old West Adams—in 1942, with the reception held at #9. 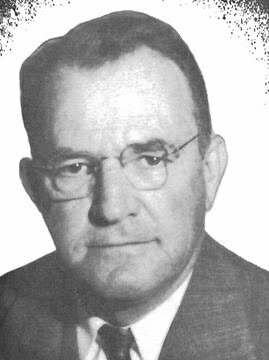 Things got more exciting, if only relatively speaking, when Governor Earl Warren appointed Nourse Judge of the Superior Court of Los Angeles County in 1947. He created a kerfuffle with a temporary courtroom news photography ban soon after the appointment, but went on to render sober judgments from the bench until his retirement in 1959 at age 71. The Nourses were to remain on Berkeley Square into the '50s, decamping to Pasadena by 1955. Paul died at home there on August 18, 1970, age 82. 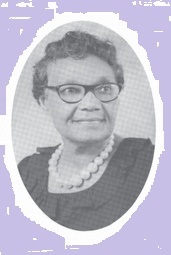 Mrs. Cora Berry, a native Tennessean who arrived in Los Angeles in 1951 to become a public school teacher and pillar of the Emmanuel Church of God in Christ at 33rd and Compton, was listed at #9 in city directories for 1956 and 1960; after that, the house disappeared forever.